Now with a full-color design, the new Fourth Edition of Zill's Advanced Engineering Mathematics provides an in-depth overview of the many mathematical topics necessary for students planning a career in engineering or the sciences. 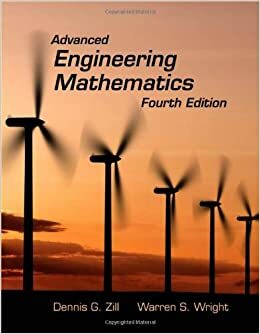 A key strength of this text is Zill's emphasis on differential equations as mathematical models, discussing the constructs and pitfalls of each. The Fourth Edition is comprehensive, yet flexible, to meet the unique needs of various course offerings ranging from ordinary differential equations to vector calculus. Numerous new projects contributed by esteemed mathematicians have been added. New modern applications and engaging projects makes Zill's classic text a must-have text and resource for Engineering Math students!